I know that’s a strong statement, but more and more in my personal and professional life at MORTAR; I’m finding it to be true. There are many entrepreneurial incubator options in the City. There are all kinds of financial literacy curricula and experts…but all of them may not be meant for or geared to our particular needs. Part of our quest as MORTAR Staff is to become and seek out those who can really help our clients. In my role as MORTAR’s Catalyst Strategist, the one who helps the Alumni post-graduation, I receive MANY offers of assistance from individuals, corporations, and organizations who feel a passion for what MORTAR does and desire to somehow make an impact. Sometimes these mentors and opportunities are a GREAT fit for an individual business, sometimes not. There’s nothing wrong with that, because everybody was not meant to help everyone. However, there are times in business and in life when there is a perfect match. A connection is made, a partnership is formed and the result brings lasting fruit and success. MORTAR has many such partners, and we are grateful to each and every one of them. One of the main characteristics of MORTAR’s partners is that they ‘get us.’ Great partners are not just acquaintances who give intellectual assent to the vision, mission and practices of MORTAR. They are friends who really understand the significance of what we are doing, and desire to come along side us in the grind to uplift and empower our entrepreneurs to be the best they can be. These comrades are not peering down on MORTAR and those it serves from above, but linking up arm and arm to see change in this economic subsystem and in this world. The word for that is EMPATHY and Brene Brown discusses it powerfully HERE. MORTAR and our partners are committed to saying Y.E.S. to the top three challenges our clients face. The acronym Y.E.S. stands for: Yet to be funded, Education and Space. In this season we are seeking a great influx of partnerships and initiatives to conquer these roadblocks so stay tuned…YOU could be a part of helping us take things to the next level! 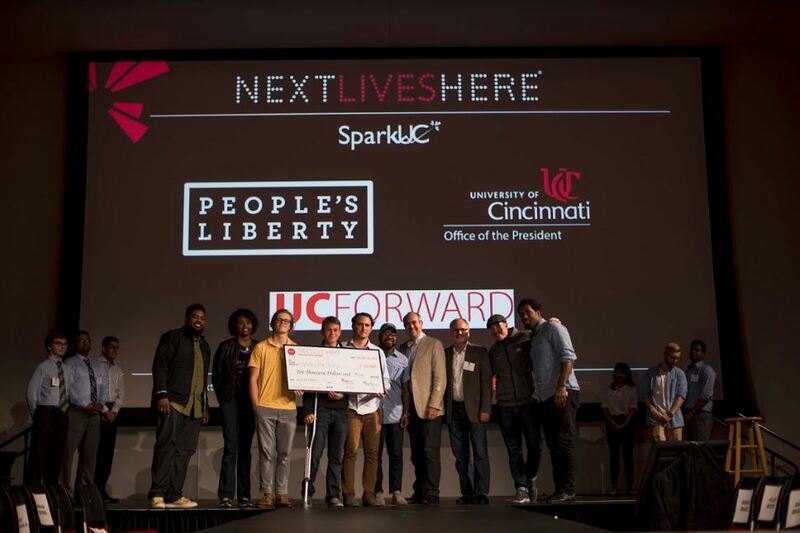 To this end, MORTAR was invited to participate in the University of Cincinnati’s SPARK UC entrepreneurial event. Students from the University were teamed to present ideas that would focus on solving the first need – access to capital. Several teams participated, and one stood out to the 6 judges assembled from various companies and affiliates in the local entrepreneurial ecosystem. We would like to congratulate Matt, Chance & Ian for their effective and empathetic presentation of a strategy for MORTAR entrepreneurs to gain more access to capital for their businesses. We look forward to working with you, our Board and Staff Members and our other partners and friends in the Region to take our first big stab at tackling this problem in the coming months and years!